DISCLOSURE: The yarn (Chic Sheep Yarn by Marly Bird – Red Heart Yarn) referenced in this post, was given to me by Red Heart Yarn. 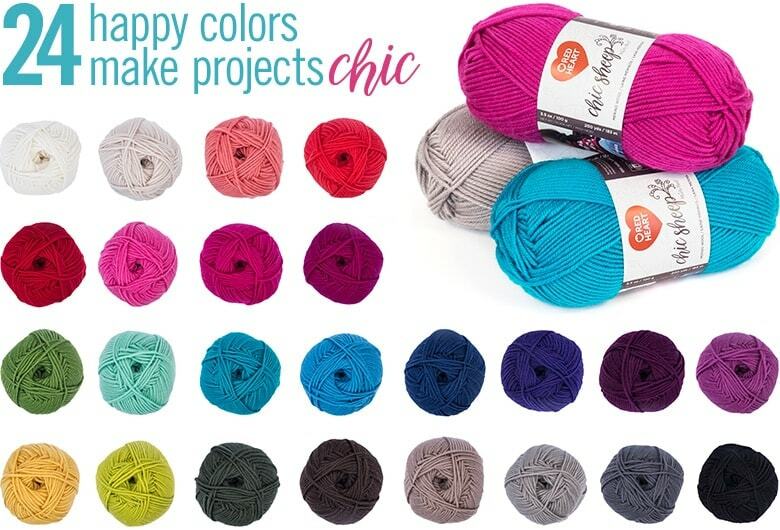 Recently Red Heart released a fun new product to their yarn line: Chic Sheep Yarn by Marly Bird! Chic Sheep Yarn by Marly Bird is available to purchase online from Red Heart. Red Heart sent me this yarn to try and I am very pleased by both its softness and stitch definition. With 24 bright and fun colors to choose from you will be able to make stunning projects and gifts. It comes in a fantastic bright selection of 24 colors. Chic Sheep Yarn by Marly Bird is a medium weight  yarn and it is 100% merino wool. Each ball contains 3.5 oz / 100 g and 186 yds / 170 m. The yarn is machine wash (cold and gentle cycle) and it is recommended you dry your finished projects flat. Red Heart suggests Chic Sheep Yarn by crocheted with a 5 mm (H) hook. I cannot guarantee you will have the same experience with the wool if you have a sensitivity – as everyone is different in how they respond to different allergens – but for me it was a very pleasant surprise. I love the bright and bold range of colors and the softness of the Chic Sheep Yarn so I am excited to be able to use it for projects for myself and others who ask. Chic Sheep Yarn by Marly Bird was a joy to work with. I didn’t find any stray pieces of straw, or other miscellaneous materials mixed in with the plys. There were no knots, uneven plys or tied sections in the yarn. The ball contained one continuous piece of yarn. It was perfectly plied and smooth and it felt clean (not gritty) and had very little odor to it. I’m really liking your book reviews. Thank you for sharing the info. I absolutely must try this yarn. Thanks for a great review! I’ve never worked with wool but I do have horrible allergies. Your review gives me hope that I won’t have any reaction. I’d love to give it a try. Thank you. Can’t wait to find and try this yarn! 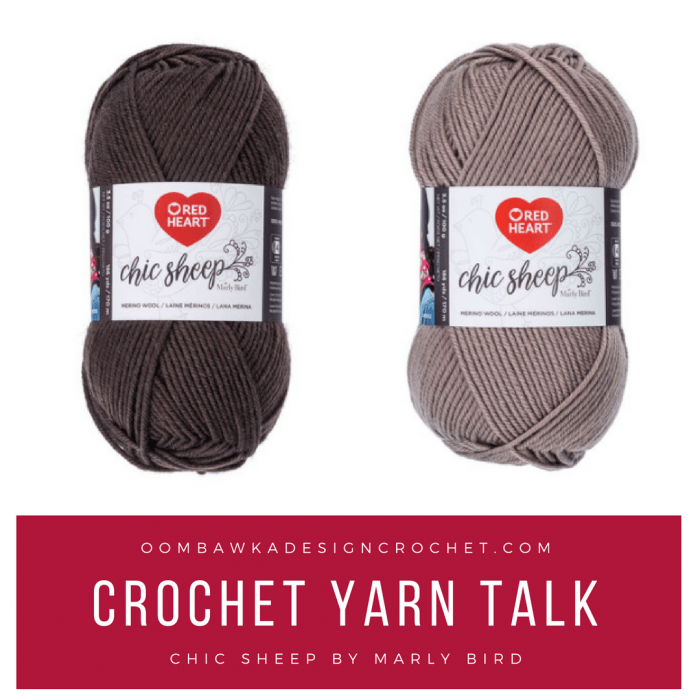 Your review is spot on and truly is inspiring me to go out and find/try this new yarn by Early, Chic Sheep! The selection of colors are wonderful! Thanks so much for the time to generate this review. I love the bright colors in this yarn. don’t usually work with wool, but might have to give this one a try! I love the colours. Will I be able to buy online even thoug I live in South Africa? I will have to give this yarn a try if I can find it! Thanks for the review! This yarn is on my yarn shopping list now! Thanks! This yarn is beautiful, such wonderful colors! Thanks for sharing great information about this yarn. Can’t wait to try it out! I am looking forward to trying this yarn! I really would like to try this yarn! I can’t wait to try this yarn. Thanks for the review. I love that this yarn is m wool and doesn’t seem to affect your sensitivity. I hope it becomes available here in the UK so that can make some lovely wooly items for me and my grandkids instead of using acrylic or cotton all the time.